Concluding our blog series Tax Debt & Bankruptcy: 6 Facts to Know, below we will point out some final important facts to be aware of when it comes to tax debt and filing for bankruptcy. When it comes to tax debt and bankruptcy, the most important thing to know is that you can rely on Arthur Lindquist-Kleissler to favorably resolve this debt. Fact 4 – For business bankruptcy, payroll tax debt can not be discharged through bankruptcy. The bankruptcy will not result in a discharge of tax debt related to outstanding payroll taxes. The business owners can be held personally liable for any outstanding payroll tax debts and may end up facing punitive actions like IRS seizures of their homes, vehicles and other property to cover these debts. When business and business owners are facing non-dischargeable payroll tax debt, working out a payment plan or some other type of resolution with the IRS can be the best move to avoid punitive actions that could end up further hurting an already-struggling business enterprise and its owners. Fact 5 – When you are facing serious tax debt, you can count on Lindquist-Kleissler & Company, LLC to help you resolve this debt. Getting the financial fresh start you may need. 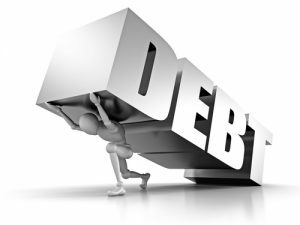 If you or your business is overwhelmed by a massive amount of tax debt, Denver Bankruptcy Lawyer Arthur Lindquist-Kleissler can help you figure out your best options for resolving this debt and your financial issues. For more than 34 years, Mr. Lindquist-Kleissler and the other legal professionals at Lindquist-Kleissler & Company, LLC have been dedicated providing both individuals and businesses with the highest quality of legal services when resolving tax debt (or any debt) and filing for bankruptcy. From simple to complex bankruptcy cases, Mr. Lindquist-Kleissler can always be trusted to maximize utilization of Colorado Bankruptcy Law to effectively guide his clients through bankruptcy and help hem achieve the best possible outcomes to their cases. Help them resolve their tax debt and other financial issues as efficiently and favorably as possible.